Here is a new movie for all of the Underworld lovers. 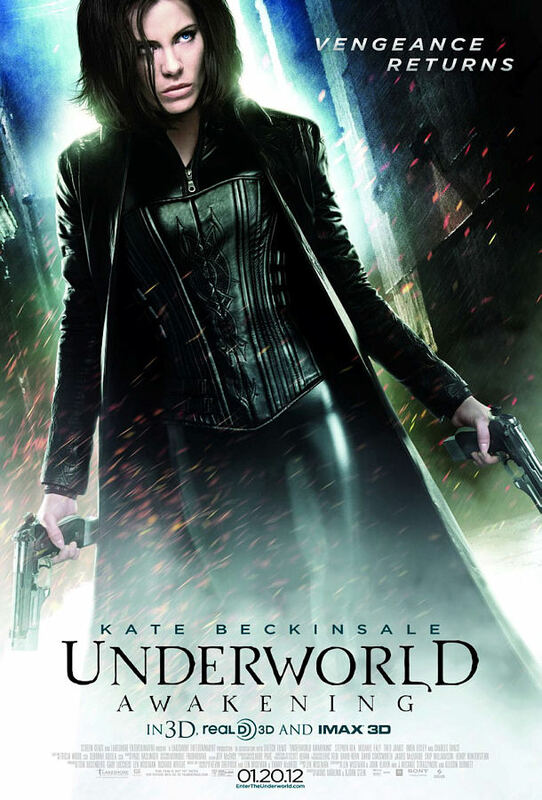 It is called Underworld: Awakening and its the fourth movie in the Underworld series. Kate Beckinsale returns as the fearless vampire Selene, who awakens in a strange new world where humans discover the existence of the Vampire and Lycan clans. The two species joins together to fight against the human forces to survive. Who will win the fight? This movie comes out January 20,2012 in 3D and it also stars: Sandrine Holt, Michael Ealy, and India Eisley. You can also see the first three of the series: Underworld, Evolution, and Rise of the Lycans on DVD. Comments for Underworld: Awakening 3D Trailer are now closed.